Global Recordings Network Australia (also known as Language Recordings Inc or Gospel Recordings) is an interdenominational, evangelical, faith-based Christian mission. We are based in Prospect, NSW Australia. Our aim is to effectively communicate the gospel of the Lord Jesus Christ to oral communicators and unreached peoples in their own language by means of recordings. We produce a range of audio and audio-visual materials for evangelism and Bible teaching. All are supplied at or below cost, subsidized by the gifts of God's people. Our teams of Recordists around the world specialise in language recording. If we do not have recorded materials in the language of the people with whom you are working, we can help prepare suitable recordings. One of our Recordists may be located in your area, or could travel to your area to record the materials at a suitable time. We may not always be able to respond immediately, but your request will not be ignored. 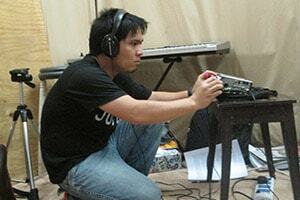 We are also willing to assist you in making your own recordings. Please contact us with requests for new recordings, particularly in languages which are currently unrecorded and for which you have suitable language helpers. The mission originated in the USA in 1939 and has grown to an affiliation of over 30 like-minded organisations. We have recorded over 6000 languages and dialects, and developed many different record and cassette players and a hand wound mp3 player for use in outreach. We also have a mobile phone app and distribute the gospel via SD cards and internet downloads. Global Recordings Network Australia is also a member of the Bible Agencies Australia (BAA) and Missions Interlink (NSW). These are the people who make things happen in GRN Australia. Time line of the history of Global Recordings Network in Australia over 50 years. Overview of Global Recordings Network Australia's financial policies and practices, and information on making donations towards the work of the mission.